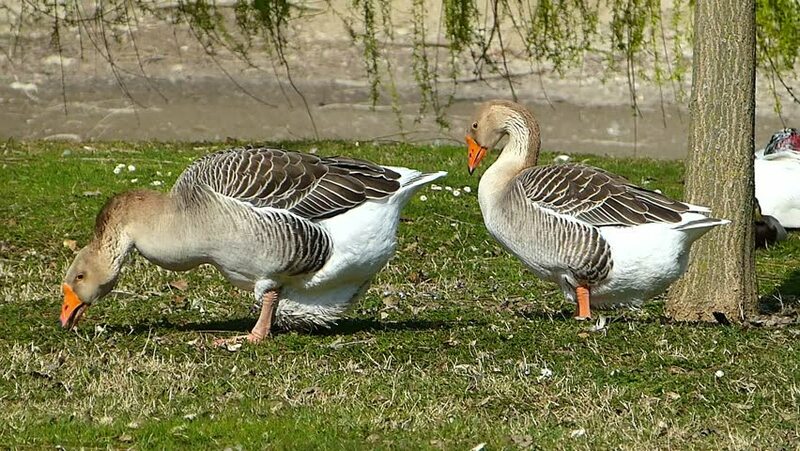 Geese eat on the lawn of the shore of the pond. hd00:11Two Wild Turkey (Meleagris gallopavo) mature male Gobblers feeding, the biggest dominant bird gobbles while in search of receptive hens, April in Georgia. hd00:13Wild mother duck with her ducklings on green grass. Little ducklings are hiding from mommy under the wings. Young Chicks of birds in nature. Loving family of animals.